Proper way to clean Scialle scarves and shawls keeps them looking like new. Winter scarf styles and winter shawl styles are about subtle tones this year and the occasional splash of color. Patterns are dense, elegant and echo the natural world alongside more structured patterns. Build a shawl and scarf collection with scarves on sale and save money while adding versatility to your wardrobe. You're At Risk of a Winter Scarf and Shawl Disaster! We don't want to cause a panic, but we have to inform you that you are in mortal danger of having to wear last year's scarves and shawls. Oh the humanity! But calm down, it's not too late if you act fast, and lucky for you you're at the right place. Scialle always keeps emergency supplies on hand to deal with situations like this. Let's get you outfitted in style. What makes a unique scarf? Well, it can be difficult to find a unique shawl or scarf these days as most designs are already mass-produced. Unless you make the effort to buy a neckpiece in an exotic part of the world, chances are someone else has the same style as your favorite scarf. Designer throws are never cheap. They are expensive, not only because of their fabric and design, but more importantly, the name they carry. Such branded throws have gained a reputation for being beautiful, elegant, and durable, thus many people invest on them. Who says the sale madness is only on Black Friday? Well, Scialle Scarfs is changing the trend by opening its doors for a Cyber Monday Scarf Sale! In case you were not able to enjoy Black Friday, then this is the perfect time to get back to your scarf shopping chores! If there's one day in the year that's best to shop, that would be on a Black Friday sale. And yes, to keep up with the tradition, Scialle Shawls is holding a Black Friday Scarf Sale on 11/28/2013! This is one shopping day you wouldn't dare miss, as Scialle Shawls will be opening the doors to its vast collection of scarves and shawls of different styles and designs at a major price reduction. Who doesn't love cashmere? With its very soft and comfortable fabric, cashmere never fails to make one feel loved and hugged even at the coldest days. So yes, with that said, Scialle Shawls is offering a special sale period dedicated only to cashmere throws! Do you have a large scarf lying around? Check out this easy and simple way to tie it, and get ready for the flood of compliments. With the weather cooling down, scarves are in and are among the top fashion trends for the fall and winter months of 2013. But, choosing a scarf is easier said than done. How do you choose a scarf color? Do you go with the latest color in fashion? Maybe you want to go with a long pink scarf, but is it right for your skin tone? Is a bold red scarf too daring? When choosing a scarf, it’s essential to understand that your skin tone is equally as important to consider as choosing the color combination for your outfit. Not all colors work well for everyone’s skin tone. To determine whether or not a scarf color will work with your skin tone, there’s a simple trick you can use. Square scarves can be notoriously difficult to tie, so here are a few ways to tie a square scarf. Accessories can be great for defining your good points and minimizing the less favorable ones. They also can help you look more fashionable even without wearing fad or trendy clothing. Women's garments can be accessorized with jewelry accessories, a scarf, a purse, a belt, gloves, and women's shoes. All these items combined can make your outfits look charming and complete. The holidays are just a few months away, and you should definitely start preparing for the season’s fashion trends. It’s not really about becoming a fashionista during the holiday season, but rather you get to celebrate the cheers by updating your style. Are you a big fan of scarves and shawls? If so, then it would be exciting for you to own not only locally made pieces, but also imported scarves. There are actually a lot of countries in which imported shawls and scarves are very much sought after, and this is mainly due to the fabric and design used on these pieces. Sure, a lot of patterns and fabrics are already used for locally manufactured scarves and shawls, but still nothing beats the authentic kind. Winter is just a few months away, and with that said you have to start gearing up for the season’s fashion trend. You don’t really have to follow what the style gurus are recommending, but at least you can accessorize to keep up with the times. And when it comes to accessories, winter scarves always make the cut. The difference between a scarf and a shawl are minimal however, there is a difference. You may not easily realize it but a lot of people anticipate for a scarf sale. This is because scarfs and shawls tend to be pricey at regular times, and they get to find great pieces during sale periods at a fraction of the original cost. We're coming up to the mid point of the fall season at this time of the year. The transition towards the colder months has been fast lately, so it’s just right for you to wear a scarf to prepare for the upcoming big chill. And since you will be wearing a scarf more often than usual, it is definitely important that you wear one in style. A cashmere throw is often seen as a piece of luxury. Well, this holds true because it is made of delicate fabric material and yet is capable of providing comfort to its users. It is then an imperative that you have one ready for use at any time of the day, as you don’t know when it becomes handy. What is the plural of the word scarf? Many times you encounter articles using scarfs, while others refer to them as scarves. And when you refer to grammar checkers, they refer to both terms as correct. Shawls for women are usually designed in long and wide shapes, as these promote the its multi-functionality. You can use a shawl in many different ways and never go wrong with it, compared to other accessories in your closet. Owning a cashmere shawl can be quite an investment. Among many things, cashmere is an expensive fabric, so you might end up spending a lot for a single shawl. The fabric is also notorious for being delicate; you may easily damage it when cleaned the wrong way. But there are a lot of fringe benefits of wearing a cashmere shawl. You may not realize it right away, but in the long run you will see its perks surface over time. A black shawl is an accessory that used to be worn only during special occasions, such as going to church or attending funerals. This is mainly because it represents sadness and grief, and solicits the wearer's privacy. Wearing an Italian scarf is one of the best ways to perk up a plain outfit. This is because such scarves and shawls offer a unique kind of design that's not easily imitated by other makers. A lace scarf is one of the best accessories you can own. Among many things, it's very versatile, and it has the ability to transform any outfit from plain to classy. You may not be a fan of jewelry, but with a scarf or shawl of this fabric, you can easily look posh right away. A white scarf is among the most favorite types of scarves and shawls today, and this is due to its regal character. White is a color of cleanliness and purity, and offers a touch of class to any outfit, especially when used as an accessory. 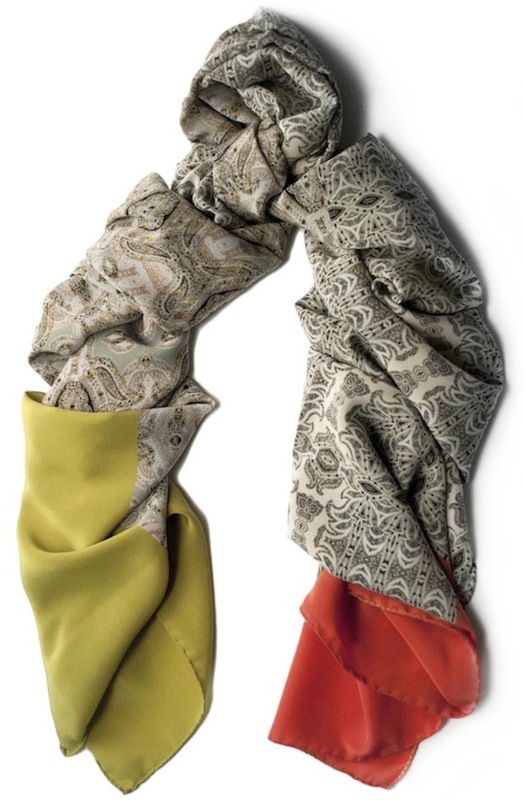 Italian scarves are very popular because they often represent one of the most respected fashion capitals in the world. It actually pays to have one at hand, as such scarf not only makes you stylish, but distinct as well. A blue scarf often gives a unique look to any outfit. While it is known for its heavy and distinct color, blue is capable of changing a style in a 180-degree manner. So yes, if you’re feeling bored with your usual outfits but wouldn’t want to invest heavily on accessories that do not represent your personality, then a scarf of this shade would definitely do the trick. Cashmere scarves are among the most comfortable scarf fabrics you can find in the market today. Unlike their silk counterparts, these scarves have no structure, as they are very soft and easily fold. Are you trying to keep up with the latest fashion trends for your accessories? Then you should definitely check out the current trends for the hot scarves of 2013. Though we're coming to the close of the year, we'll be taking a look at some of thet major trends this summer. A red shawl never fails to spice up any outfit, may it be a corporate suit or a flimsy dress. This is mainly because it’s not only a catchy color, but it’s also made of strikeout fabric. Of course, you should learn how to use it effectively, as when used the wrong way, the shawl may only eat up your whole style. Summer is a season where women tend to dress down and get dolled up. This is because the sunny weather gives you the reason to ditch the sweaters for a while and settle with less of the fabric, and more of the skin when it comes to your outfits. And yes, if you want to look chic during this time of the year, then you should definitely bring out your silk scarves. So, What makes fashionable scarves “fashionable”, you ask? Well, you can read magazines, watch fashion shows on TV, or tune in to talk shows that deal mainly with the latest styles to get to know how celebrities and fashionistas wear their scarves. However, fashionable scarves aren't only classified as what's currently trendy. Regardless of who you are they should also suit your personality. There are people who always make it a point to stand out. There are also those who, while they want to blend in with the rest of the crowd, would also like to be recognized by wearing a particular accessory. If you belong to the latter group, then perhaps a unique scarves would work in your favor. When are the Best Times to Wear Women’s Scarves? Women’s scarves are often fun and fashionable. It’s because unlike neutral scarves, these types do more than provide warmth and protection, but more importantly boost up one’s style. These scarves also tend to be attention-grabbing, so they should be worn appropriately. Unlike rectangular scarves, square scarves tend to be more complicated to tie. Simply draping them around your neck doesn’t work, thus you have to know a few tricks in order to wear them effectively. These scarves are more stylish though, so you may want to learn how to tie them the right way. Most of today’s classy scarves are made of delicate fabric material. This makes the scarves somewhat difficult to clean and store, as they require extra care in order to avoid damage during the cleaning process. In Italy, men also use fashion to distill a visual interpretation of the internal self. A brightly colored scarf is a whimsical tie, a plaid scarf is a geometric contrast to stripes or camouflage for the design adventurous, and a winter weight designer scarf from Italy is a functional conduit for color. Are you the ultimate scarf fanatic? Well, having a collection of scarves can be a very good thing especially when you rely on them to create your own signature style. This is because no two scarves are the same; they may be mass produced, but each gives a distinct look on its owner, depending on how it is used. Imported scarves from countries such as Italy, India, China, France and more are some of the most popular locales for scarf manufacturers. This is not simply because they are made abroad, but rather they offer a certain style locally made ones couldn’t provide. If you are an avid scarf shopper, you will easily see the difference between local and imported scarf types. Not that the imported ones are better; they simply offer a unique look that you may want to incorporate in your own fashion statement. Many people think that wearing a scarf is already enough to create a style statement. However, if you’re the ultimate fashionista, it may take more to complete your look and you may be interested in a high end scarf, as it does more than add a pop of extra fabric on your skin: this kind of scarf helps in creating a look that’s uniquely yours. Using a spring scarf is one of the best ways to perk up your fashion during this season of blooms. Among many things, spring offers a fresh new vibe for you to work on, and that gives you a fresh palette to work out your style. Choosing a winter scarf isn’t as difficult as that of a spring or summer scarf. This is because when it comes to winter scarves, you’re more after the function over the fashion. These scarves do more than just make you look stylish; they keep you warm throughout the cold snowy months. A fall scarf is regarded to be one of the most versatile scarf themes today. This is basically because autumn scarves offer a warm cozy vibe, and their colors can still be embraced during the winter season. There are people who stick to their fall scarves even throughout winter, or sometimes until spring. Spring scarves do more than represent the season of blooms or serve as neckpieces or cover-ups; they are also useful fashion accessories that make the simplest outfit look totally pretty. So yes, it’s important to have your spring scarf ready for use this way so that you can easily shift into a more stylish look without exerting too much effort. Kids and young adults usually sport cute scarves, but nowadays these pieces are starting to become popular among older people too. This is mainly because such accessories add up to a person’s fashion statement. You also get to show off your youthful side without looking off by using a scarf. Fall is about to come in a few months, so it would be better to prepare for the colder climate to arrive as early as now. Well, you don’t exactly know when the temperatures will start to go down, so it’s nice to be ready when the colder winds start to breathe in. And while you can’t immediately switch into the coats and jackets right away, perhaps you may want to have something in your bag that you can use against the cold right when it comes-a scarf. Winter scarves are among the fanciest and most decorative scarves you can find. This is because they are not only used to keep one warm, but also to highlight the season’s festivities which include Christmas and New Year. Summer shawls often come in bright and bold colors, and have a thinner fabric consistency unlike other kinds. With that said they are more prone to damage, especially when exposed to extreme outdoor conditions and when they are used almost all the time. It is therefore important to learn how to take care of your summer shawl so that it would last longer than you expected.